Charles Lucas has become the third person of the main political parties to put his name into the hat to run for Bristol Mayor. The Clifton councillor was selected by the Conservatives in an open primary election, beating GP surgery manager Steve Smith. Members of the public, of any political affiliation, were invited to register for the event and cast their vote, while the shortlist was decided by the local Bristol and South Gloucester Conservative party. He now joins Marvin Rees, selected by Labour, and Kay Barnard, for the Liberal Democrats, and two other independents - John Langley and Laurence Duncan - who will run against George Ferguson when Bristolians go to the polls in May 2016. Bristolians will be voting for their Mayor next year, and candidates are being selected. 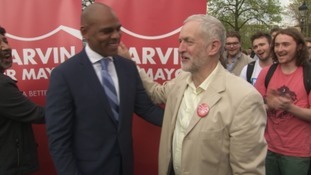 The Liberal Democrats announced scientist and campaigner Dr Kay Barnard as their candidate last night, with Marvin Rees, who works in public health and was George Ferguson's closest rival in the previous mayoral contest, standing for Labour. The Conservative Party will hold an open primary to elect theirs this evening. The contest is between city councillor Charles Lucas and Steve Smith. Current mayor George Ferguson, an independent, will be re-standing. Two Labour candidates will go head-to-head this evening as they bid to become the next Mayor of Bristol. 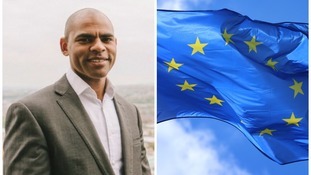 Councillor Mark Bradshaw and Marvin Rees will address potential voters at Temple Meads station. Labour members will be able to vote in August on who they want to represent their party at next year's Mayoral election. Campaigners fighting plans for new residents-only parking zones around Bristol drove a tank down one of the city's main streets tonight. The protest was to highlight a petition expressing "no confidence" in Mayor George Ferguson's handling of the scheme. Mayor Ferguson rejected the groups concerns, which he described as of "no consequence". The petition was debated in tonight's meeting of Full Council but no vote was made and the system is set to continue.